Online Presence Builders partnered with local Marketing Company Kalmbach Smith Meadows to develop a completely responsive and adaptive WordPress website for George’s Pond at Hirsch Coliseum. George’s Pond at Hirsch Coliseum offers public skating, ice hockey, junior hockey (jrmudbugs.com) figure skating, birthday parties, private group parties and more. In addition to the ice rink, the facility hosts concerts and other entertainment events including ETBU Hockey. 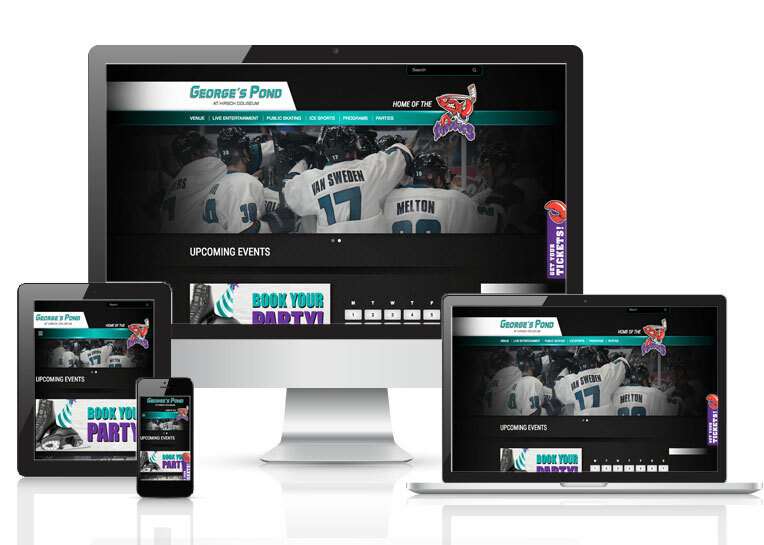 With a sleek, clean website design, people visiting the site can easily navigate to find and sign up for upcoming events, purchase tickets to the Mudbug’s hockey games or book a party at the Coliseum. If you like what we have done, contact us for a customized solution just for you and your business.